Learning about how infrared remote controls work is a great way to expand your electronics knowledge. That’s because this technology is invisible to our eye, and happening faster than we can comprehend without help from test equipment. This tutorial over at Pyroelectro talks about the theory behind how the data is transferred and shows you how to build a couple of circuits to experiment with and communicate through infrared light transmissions. 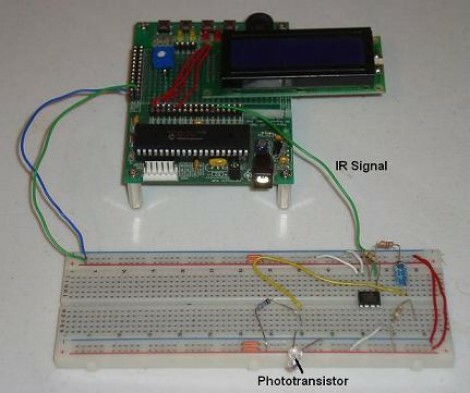 Instead of going with an IR receiver module you’ll build your own using a photo-transistor and an operational amplifier. The Opamp is used to amplify and invert the signal picked up from the IR transmission of a common home entertainment remote control. From there the digital signal is read by a PIC 18F452 microcontroller for processing. But if you want to use a different microcontroller there’s still more than enough usable information to get you across the finish line. Ever wonder how to calculate revolutions per minute using a microcontroller? 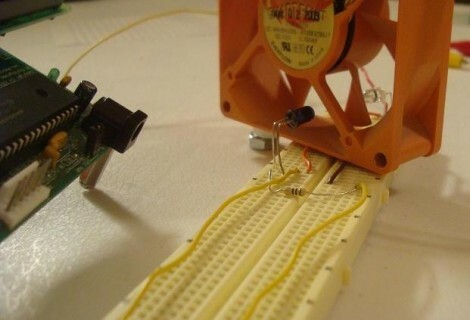 This project shows you how by purposing an IR emitter and detector and a computer fan. As the fan blades spin they disrupt the beam of infrared light between the emitter and the receiver. This results in a waveform on the receiver’s circuit which can be easily used to trigger interrupts in any microcontroller. In this case a PIC 18F452 monitors the detector’s signals for a rising edge. By measuring time data between interrupts the period can be established and RPM calculated. 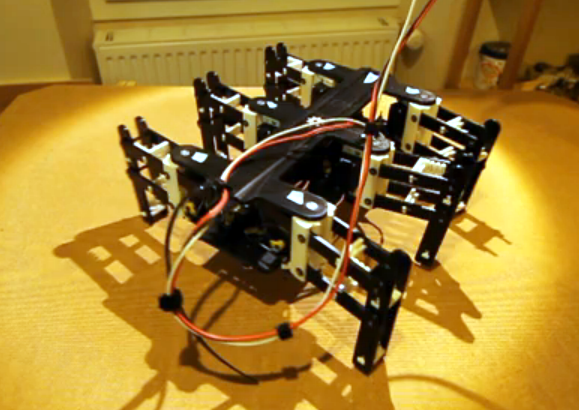 You can see a video of the test rig after the break. So what can you use this for? It’s the method that most spinning POV displays use to stabilize the display. You won’t be limited to an IR sensor, but can use a hall effect sensor in the same basic fashion. This hack lets you use a TV in place of a graphic LCD screen. But we like to think of this less as a replacement for a GLCD and more of a simple way to get your information onto a television. 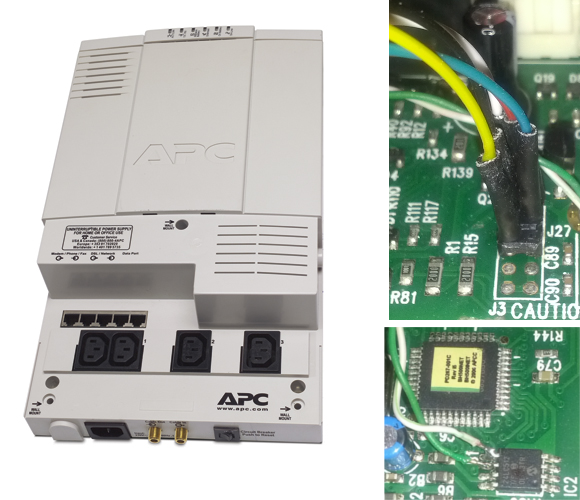 A PIC 18F452 acts as a translator between the GLCD parallel inputs and a composite video output. There are some malformed image links on the page which we’ve fixed and linked to after to the break so that you can take a look at the schematic, component layout, and PCB artwork. The assembler code and hex file are available for download but you’ll need to register to get access to them.